But if you ever use mixing and routing apps like AUM and AudioBus, you are going to love ApeMatrix, and then come to wonder how you ever worked without it. Instead, ApeMatrix allows you to route audio between apps, and control the level of that audio using a mixer. 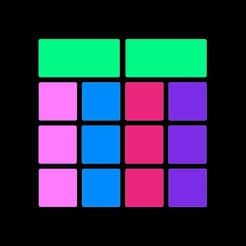 As the name suggests, the app uses a grid, or matrix, to do the routing. Write movie dialog as if you were writing text messages. Dialogue is an ingenious take on movie script writing. The app presents you with a text-message-style view, and you type the dialog as if you were having a conversation with a friend. It’s clean, and perfectly-suited to writing on a small device. You can also create profiles for all your characters, and when you’re done, the dialog can be exported as a correctly-formatted PDF or Fountain document. Streemur is an iOS app that connects to multiple internet radio streams, and assigned each one to an on-screen pad. Musicians can then tap any of these pads to switch to that audio stream. Imagine twisting the dial on an olde-worlde radio, and you have an idea of the purpose of Streemur. It’s a great way to add odd, random audio streams to your music, and to live performances. Streemur works with Inter-app audio and AUv3 hosts, and can therefore be integrated with all the wild audio effects you have on your iPad or iPhone. The iOS 12 beta has a brand-new voice memos app, which is much easier to use than the old one, and — most importantly — syncs across devices using iCloud. 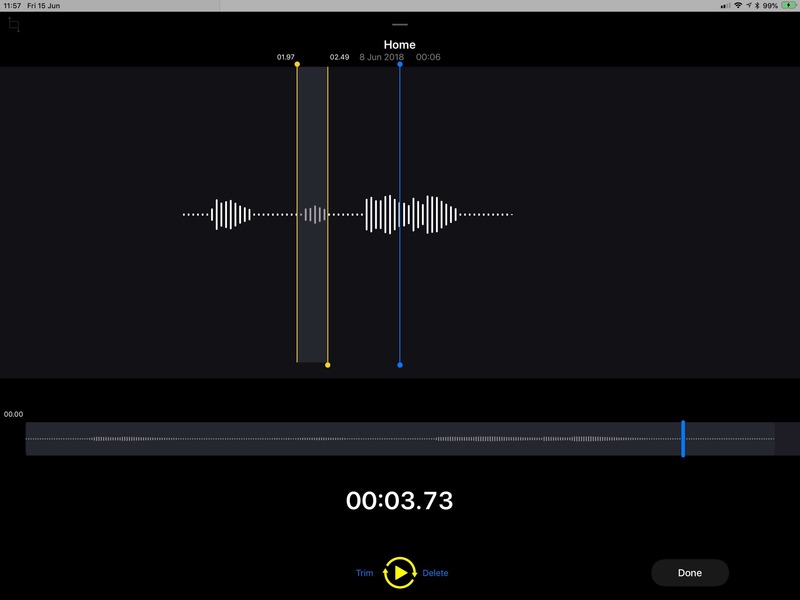 Yes, the big new feature is that Voice Memos is now available for iPad, just seven years after its launch. Recordings can be paused and resumed, and you can even “resume” an old recording. For instance, you may record something on your iPhone while out and about, and then later you can append more audio using your iPad. You can also “punch in,” recording new audio over the top of old, replacing it. Simple editing toolset you easily trim audio, or delete sections. Recordings are automatically named with the location you make them in, which is fantastic for folks who do interviews or make voice notes. 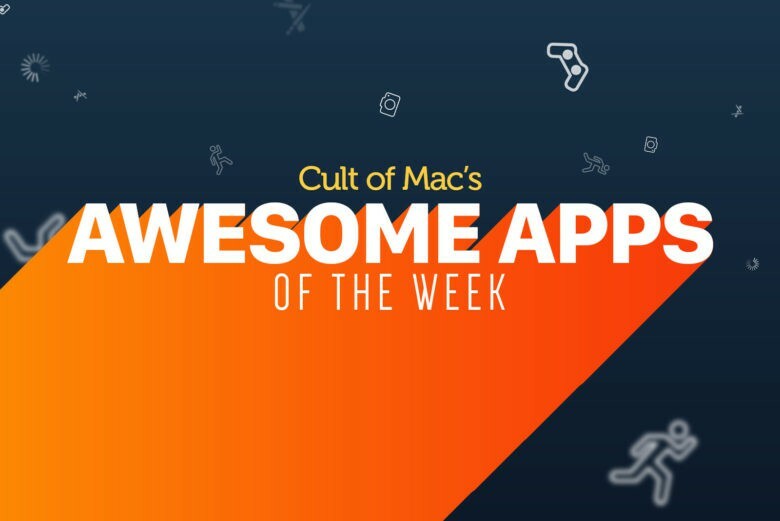 Many musicians’ use the Voice Memos app, and while there are some excellent alternatives, this new builtin app will be good enough for most purposes, especially as it has it’s own quick-access Control Center widget. One thing I do miss from my current favorite, Just Press Record, is that Voice Memos doesn’t keep its recordings in a standard iCloud Drive folder, You have to export a track first if you want to use it in another app.